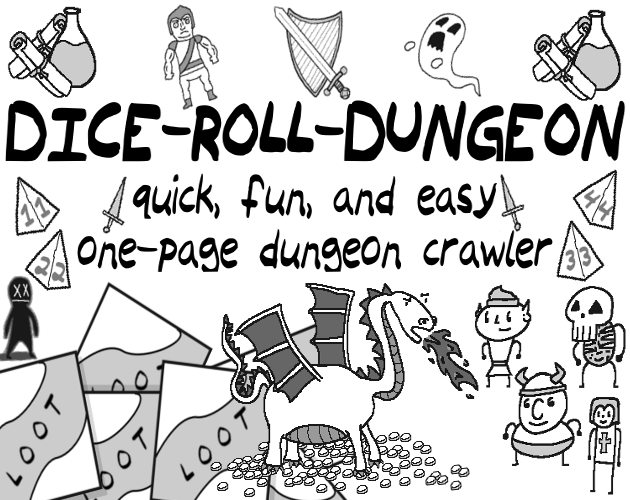 A new goodie has been released from the Mystery Attic, and it comes in the form of a print & play dungeon crawler! It's all on one page [ as it was created for #PaperJam2017 ], and all it requires is a 20-sided dice, a 4-sided dice, and a pencil / pen / whatever your favorite writing utensil is. Thanks for playing, and thanks for your feedback! This looks fun! I'm going to give it a try!